Our brains are pretty amazing. Like a high-tech computer, they can recall, sort, and retrieve thousands of pieces of data. But how exactly does it work? Can our brains ever be wrong? Why do we remember some things and forget others? 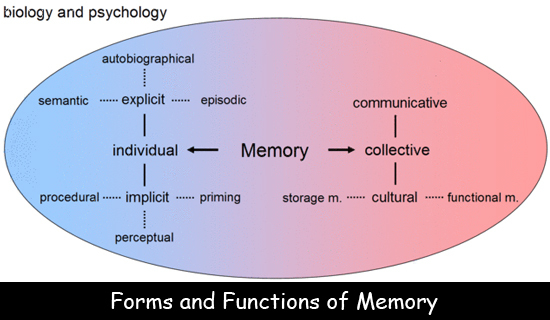 Neuroscientists lump memory into three categories, short-term memory, long-term memory, and working memory. Each type of memory is controlled by a different part of the brain. Short-term memory is controlled by the frontal lobe. It’s information that is stored for a short time and it isn’t processed. In other words, you don’t try to classify it or give it meaning. For example, you use short-term memory to remember a phone number while you dial it. Working memory is similar to short-term memory, but with working memory, you manipulate or use data in some way. For example, you try to remember a phone number longer than just a few seconds, you write it down, or you share it with someone else. Long-term memory includes the memories that we hold for a long time, including memories from our life or something we read in a book that really interested or moved us. We tend to remember the things that matter the most to us or the things we do the most. Neuroscientists still have a lot to learn about memory, but they do know that long-term memories are housed in the hippocampus. If the hippocampus is damaged, people sometimes suffer from amnesia and are no longer able to make and keep new memories, although they might remember everything that happened before. Memories aren’t always reliable. Sometimes our brains add details that might not have really happened, including details someone else told us or something we read in a book that seemed to fit with something in our own life. We’re usually not conscious of this happening. Question: How can I improve my memory? Answer: For general memory health, scientists believe a healthy diet, exercise, and adequate sleep can help. So can having friends and trying new things. Learn to play an instrument or learn a foreign language. Work on crossword puzzles or read a new book. Anything that challenges your brain can keep it healthy. To remember things like your multiplication tables, try writing them down repeatedly. There seems to be a direct link between writing and remembering. Put them in a song. Declan, Tobin. " Memory Facts for Kids – How Your Brain Works ." Easy Science for Kids, Apr 2019. Web. 18 Apr 2019. < https://easyscienceforkids.com/memory/ >.